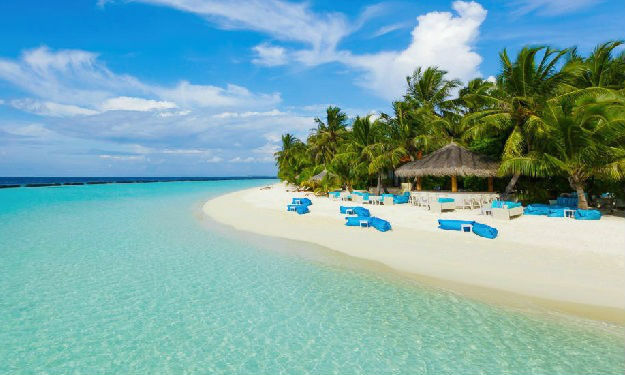 The Maldives welcomes you to a tropical paradise of palm trees, white sandy beaches, sparkling clear, warm water in turquoise lagoons and colourful coral reefs teeming with abundant marine life. 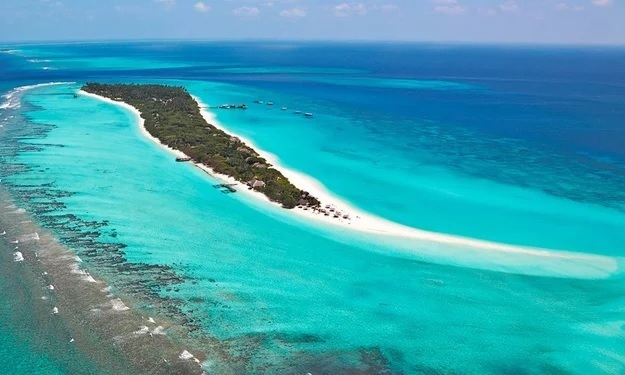 Veligandu Island Resort, surrounded by a beautiful lagoon, an excellent house reef and long stretches of white, sandy beach, is the only Resort on the island of Veligandu, North Ari Atoll. It is 600 meters long by 150 meters wide, about 22 acres. 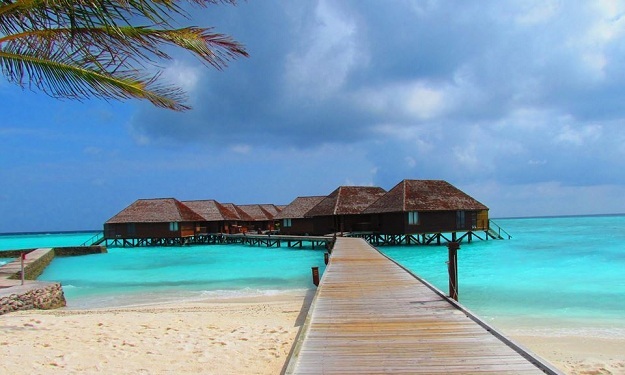 Your seaplane transfer from Ibrahim Nasir International Airport is a scenic, 20 minute flight. 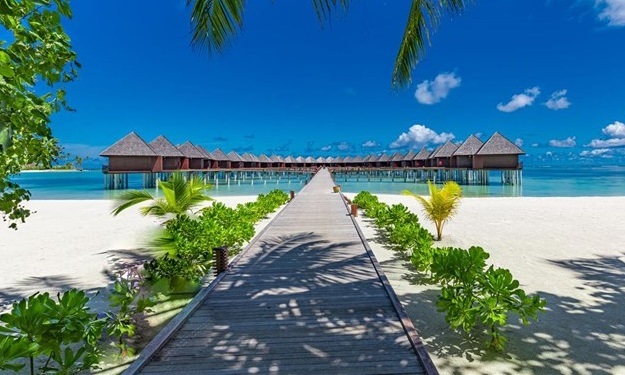 Beach Villas are the same but smaller than Jacuzzi Beach Villas, tile or wood bedroom floor and a good but narrower view of the lagoon. 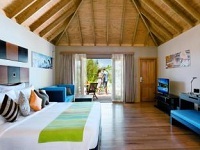 Jacuzzi Beach Villas are the same as the Jacuzzi Water Villas and located on the beach. All rooms feature tropical decor, a king size bed, wood floors, private sundeck with furniture, air conditioning, overhead ceiling fan, sitting area with 36 inch flat screen cable TV, DVD Player, broadband Internet connection, stocked mini bar with refrigerator, tea/coffee/espresso machine, IDD telephone, personal safe, spacious bathroom with rain shower, double sinks, bath accessories, hairdryer, nightly turndown service and complimentary use of chaise lounges at the beach and beach towels. Electricity is 220VAC, 50HZ. Water Villas are like the Jacuzzi Water Villas but a little smaller, and without the partial open air bathroom or Jacuzzi. All rooms feature tropical decor, a king size bed, wood floors, private sundeck with furniture, air conditioning, overhead ceiling fan, sitting area with 36 inch flat screen cable TV, DVD Player, broadband Internet connection, stocked mini bar with refrigerator, tea/coffee/espresso machine, IDD telephone, personal safe, spacious bathroom with rain shower, double sinks, bath accessories, hairdryer, nightly turndown service and complimentary use of chaise lounges at the beach and beach towels. Electricity is 220VAC, 50HZ. Jacuzzi Water Villas are located over-the-water, in the lagoon a short walk along your private jetty to this secluded and more spacious hideaway featuring a partial open air bathroom, an outdoor Jacuzzi and stairs into the sea. All rooms feature tropical decor, a king size bed, wood floors, private sundeck with furniture, air conditioning, overhead ceiling fan, sitting area with 36 inch flat screen cable TV, DVD Player, broadband Internet connection, stocked mini bar with refrigerator, tea/coffee/espresso machine, IDD telephone, personal safe, spacious bathroom with rain shower, double sinks, bath accessories, hairdryer, nightly turndown service and complimentary use of chaise lounges at the beach and beach towels. Electricity is 220VAC, 50HZ. Feeling stressed or tired? Want to re-charge your energy, rejuvenate body and mind? At Duniye Spa we have created a space of healing, touch and aroma, to promote within you a deep sense of calm, joy and serenity. Experience the balance between inner and outer beauty that brings a feeling of contentment. Drift away with a combination of oriental traditions and modern skincare in our nurturing and inspiring ambience. 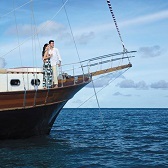 Allow yourself to glide through the deep blue waters of the Indian Ocean discovering the beauty of the aquatic world. The resort offer an interesting variety of courses from novice to expert. 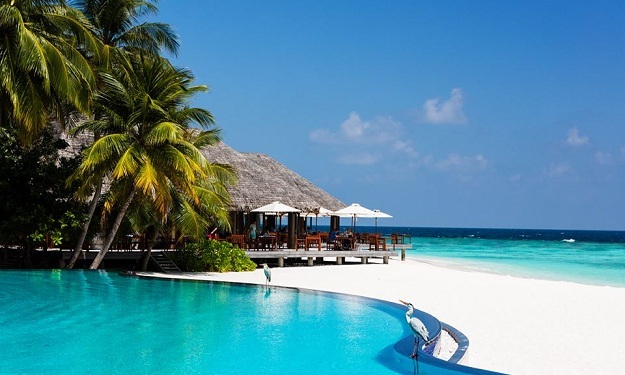 The resort confident that at least one of these will fulfill your dreams! 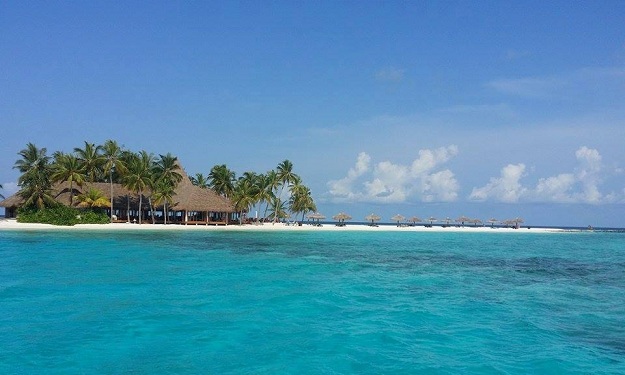 The Ocean Dive Team welcomes all guests who not only want to enjoy the luxury of the beautiful dive sites around North Ari Atoll, but are also looking for something special. 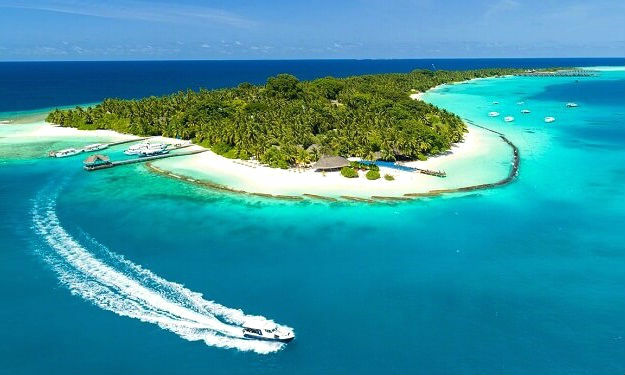 Talk to divers who have been to Rasdhoo before and you’ll soon find out that this atoll is quite a sensational diving location. 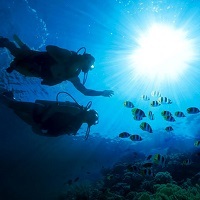 Although it’s a relatively small atoll, there are still some 19 dive sites on offer, ranging from easy going reef dives that are suitable for beginners to more challenging dive sites to tempt experienced divers. 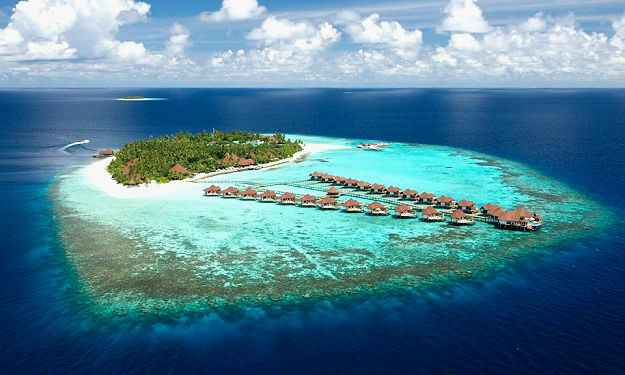 Since there are only 2 Resorts in this atoll, The resort divers are largely spoiled with uncrowded diving conditions. 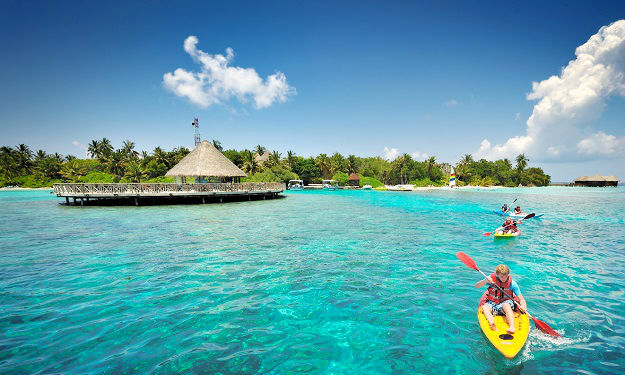 In addition to snorkeling and diving, there is a variety of other water sports equipment to enjoy including windsurfing, catamaran, kayak, wake board, water ski, fun tube, jet ski, seadoo scooter and stand up paddle board. Equipment can be rented and lessons can be booked at the Water Sports Centre. 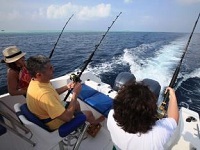 Enjoy a late afternoon dhoni cruise, photograph a beautiful tropical sunset and hopefully watch the dolphins play. Includes a glass of special punch or house wine. Other beverages are available at Veligandu bar menu prices. 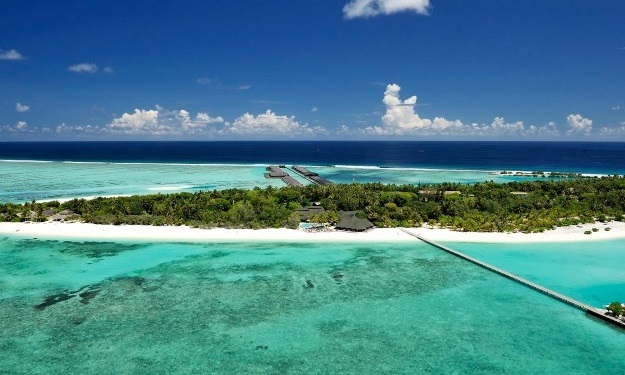 Enjoy a bird's eye view of the beautiful coral reefs and atoll a photographer's delight. Take off from Veligandu. 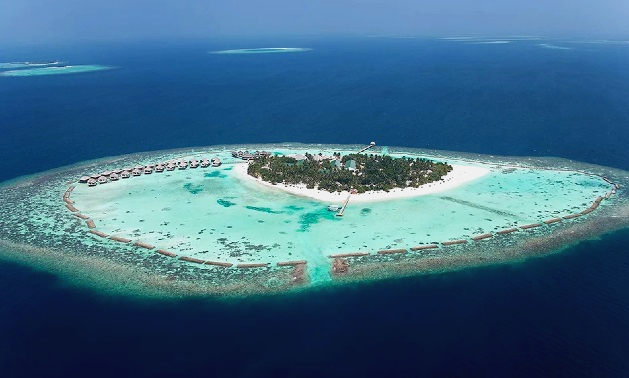 Enjoy a wonderful day at Madivaru and Madivaru Finolhu including sunbathing and snorkelling. 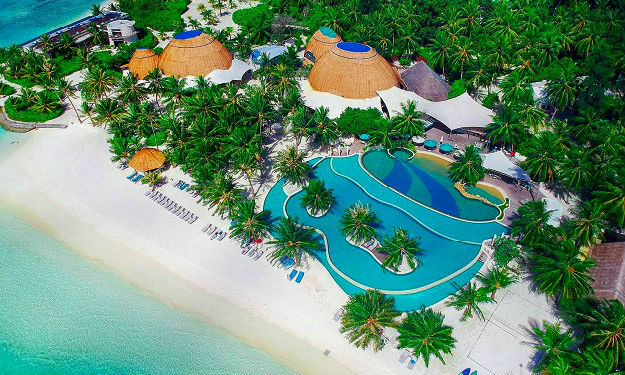 Beautiful White Sand Beach, a Magnificent Lagoon and an excellent House Reef for Snorkeling A Sparkling Clear Freshwater Infinity Swimming Pool Overlooking the Beach and a Children’s Pool Volleyball Court, Beach Badminton and Football Grounds, Fishing Excursions including Morning, Afternoon and Deep Sea trips. Boat trips can take you out to the reefs to snorkel amid white and black tipped sharks, turtles, octopuses, rays and eagle rays. 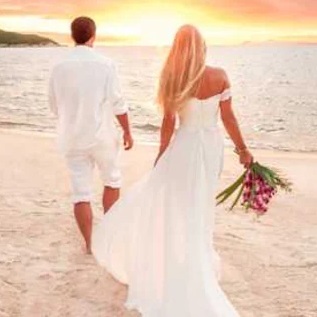 The symbolic wedding ceremony includes reading a passage from the Book of Good Wishes, reciting wedding vows, exchange of rings, groom kissing his bride and signing the wedding certificate. The ceremony takes place on the sandbank, which is decorated using palm fronds woven in the shape of a heart and local hibiscus flowers. The ceremony group includes local girls from the neighboring Island, all dressed in traditional Maldivian costumes. 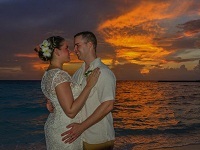 There is no more romantic setting than "under the stars",either beside the Madivaru Restaurant or on the Sand Bank. 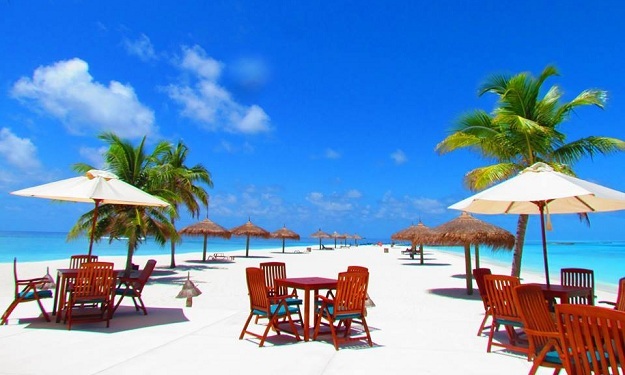 Conveniently located on the beach at the Northern end of the Island with a beautiful view of the lagoon, al fresco decks and serving your favorite beverages and snacks. 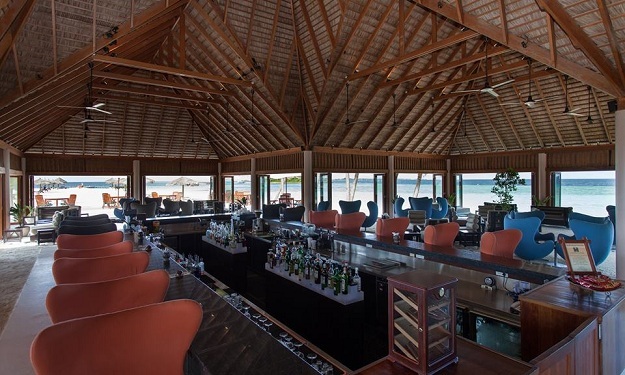 The stylish main bar on the beach with a beautiful view of the lagoon, al fresco decks, color satellite TV coverage of international sporting events and serving your favorite beverages and snacks. Located near the swimming pool. An “optional” à la carte dinner menu specializing in a grilled seafood menu, featuring fresh, local seafood, as well as a selection of international favorites including Asian cuisine. Located on the west side of the island. The main restaurant, where you enjoy "all you can eat" serving buffet style meals for breakfast, lunch and dinner, a variety of international and regional cuisines to please everyone's taste. 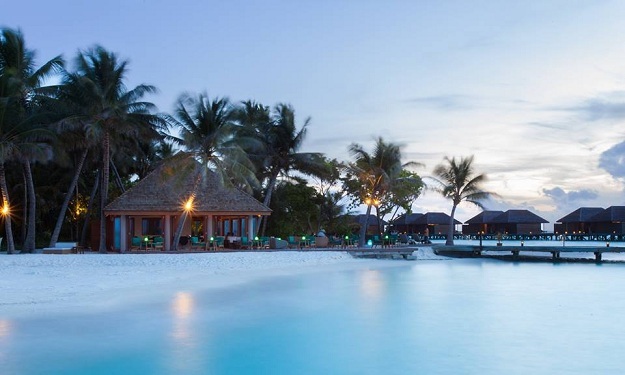 Friday night dinner is Maldivian night with a themed menu and waiters in traditional dress. Sunday breakfast welcomes you with complimentary Sparkling Wine. The buffet lines include live action cooking stations where food is prepared to your order. Soups, breads and desserts are homemade and the fresh, tropical fruits are delicious. Your waiter will seat you at whichever available table you prefer and will make you feel welcome and at home with his friendly and attentive service. 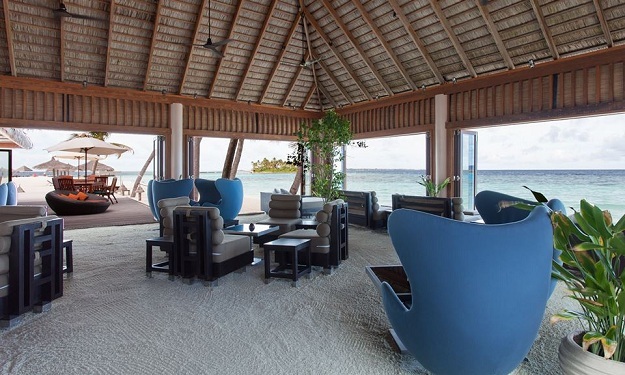 The Restaurant is divided into 3 separate dining areas, in the traditional open air style with sand floor and thatched roof. There is also outdoor seating on a wooden deck. Guests with special dietary needs should advise us, beforehand.